The Quality of Life Question: More Perspectives | Will My Dog Hate Me? Last week I found a large package on my doorstep: A box containing three bags of Zuke’s Skinny Bakes. At first I was upset. Frankie’s not going to be around to enjoy these, I thought. Don’t people read my blog before they send me stuff/ask to guest post about puppy care? (The answer, in most cases, is No.) If so, they would know what I’m going through. Then I looked at it another way. Three bags of high-quality dog treats arrived just in time for Operation Spoil Frankie. How cool is that? That shift in perspective has helped get me through these tough days. In some ways, Operation Spoil Frankie has proved a bit unnerving. I believe I’ve seen certain signs of improvement. Frankie seems more focused — mostly on food, which had been far less delicious and far more restricted because of his diabetes. I also think that he finds his way in and out of the house — still supervised of course — more consistently. Was the hospice vet wrong? I began wondering. You might consider talking to this animal expert lady Kate. She helped me with my dog and was instrumental in getting him better. On a call tonight, she talked about a German Shepherd 15 years old who was skinny, losing weight, could not get up. His pet guardians were getting ready to put him down. Instead, they talked to Kate and they ended up spending a lot more quality time with him. I don’t think that you are letting go too early for Frankie’s sake. What happens if you wait, and Frankie can no longer remember you? Can you imagine how scary that would be for him? That happens to Alzheimer’s patients sometimes. They become afraid of everyone around them because they can’t recognize anyone a lot of the time. I think it’s smart of you to let Frankie go before his whole life becomes one of living in a haunted house of terror. Now that is a helpful perspective. I want to keep Frankie forever but not like he is now. While I see some signs that he is doing okay, his life is not going to turn around. Why not celebrate these happy moments in has last days and be glad that he is quitting while he is ahead, as they say? Perhaps a bigger issue is the guilt I feel over the sense of relief that I am getting my life back. 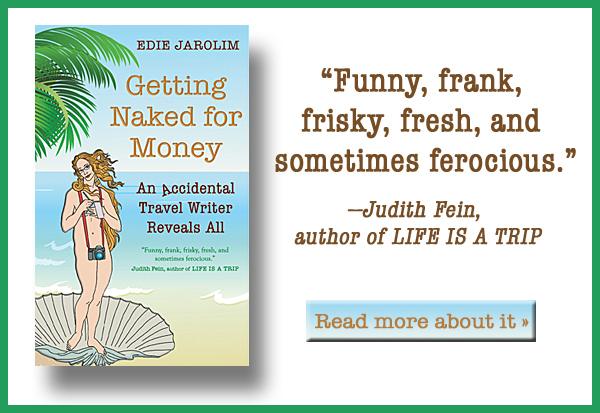 I used to be a travel writer. Frankie never liked travel and he is not a social dog; boarding him was not an option. For the first four years after I adopted him, I didn’t have problems finding people to stay with Frankie, though I didn’t feel comfortable leaving him for longer than a week. Once he developed diabetes, however, it was far more difficult to find care, especially from someone who was not prohibitively expensive. I occasionally took him with me on short trips but it was stressful for us both. I went away for a few days at a time, but going to places like Australia or Easter Island — which I used to do on the dime of various magazines — was no longer an option. I created a different life and, as I wrote the other day, I have not a single regret. But a year and a half ago, when I started researching my family history — see Freud’s Butcher — I found myself frustrated at not being able to do the things I wanted and needed to do, especially spending a good period of time doing research in Vienna. After Frankie was diagnosed with CCD, there was no question of working out a way to take him with me, as I would have done with a healthier dog. I looked into other possibilities. I have a large house with an extra bedroom. I tried to find a live-in who was studying to be a veterinary technician, someone who Frankie could get used to and who could take care of him while I was away. The trade-off was that the person would stay here for little or no rent. You get a pet, you have a responsibility to take care of it. And when you love your pet as much as I love Frankie you don’t think twice. But that doesn’t mean you’re always going to feel happy about it, especially when there’s a question of your pet’s quality of life. I wrote a post for National Suicide Prevention Week about the stress of being a caretaker: The Burden of Being Irreplaceable (Yes, Even to Your Pet). I figured Frankie could hang on for quite a long time with CCD. Physically, he’s not doing badly. That’s one of the reasons, I realize now, that I returned to dog blogging. If I couldn’t do my other project right, why not devote myself to the topic that was most on my mind: Taking care of a senior pet. I didn’t anticipate — at least not consciously — that circumstances would change so rapidly. My decision to seek out a hospice care veterinarian was organic, though focusing on Frankie’s circumstances in a public forum might have helped me to think about it as an option. Getting a definitive opinion about Frankie’s poor quality of life made me feel terrible — but also lifted a weight from my chest. I am living in a strange, dissociated state right now. I am thinking about the future with some hope, for the first time in ages, but I am also not allowing myself to feel, on some gut level, what a future without Frankie will be like. Yes, Operation Spoil Frankie is a success, but I could not indefinitely feed him liverwurst and cheap cat food (though I have to tell you it seems to agree with him; he has not thrown up or had a soft stool in this entire time — which is atypical). 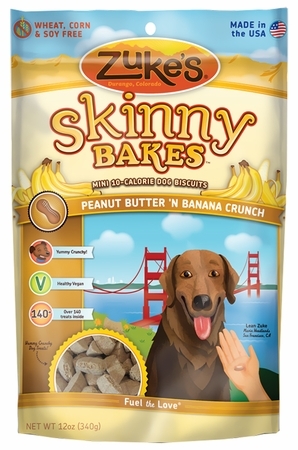 By the way, Frankie LOVES the Zuke’s Peanut Butter and Banana Skinny Bakes, though he’s not especially keen on the Pumpkin and Sweet Potato or Mixed Berry varieties. With all my awareness of the ultimate rightness of my decision for me as well as for Frankie, I still agonize. I find myself wondering if Frankie will forgive me. What if he still wants to live? But I know, with every rational bone in my body, that there is nothing to forgive. I’m going to give him some ice cream and then he’s going to go to sleep, never to be fearful or confused again. I’m the only one who will be in pain. 1. You will feel relief, then guilt for feeling relief. That is normal. Allow yourself to feel that. 2. A quote I heard from an experienced hospice veterinarian: Better one week too early than one hour too late. So, so true. I tend to err on the side of overly early with my pets, at least so far as other people are concerned, but I don’t regret my choices. Cutting off that tag end of horrible quality of life is not something I will allow myself to feel badly about. After seeing Frankie the other night, you are doing the right thing at the right time. Yes, you will have guilt because you’re Jewish and it’s a built-in mechanism but the guilt does go away and the freedom of knowing you made the right decision will spread its wings in time. And of course, you’ll miss him madly but that’s part of being a dog parent and why we love them as much as we do. I still miss Painter and Lily greyhounds even though that was 7 years and 3 years ago. I ache for them now and then. Better to remember and miss an experience than never to have experienced at all. As a follow up to Dr. V’s excellent comment, I definitely feel we waited too long with my childhood dog. She had been in a great deal of pain for a long time, I know that now. We should have been stronger for her sake. It’s always impossibly hard, no matter what the circumstances, I think. Frankie relies on you to do what’s best for him. As you say, there is nothing to forgive. I’ve been away from blogging since we said goodbye to Cali and I just heard about Frankie. I’m so sorry. It’s been 5 months for us, and some nights I still wonder if I gave up too soon, she had bounced back two other times, but I felt like I couldn’t keep expecting her to go through the pain with the hope that she would bounce back. I agree with Dr. V, much better one week too early than one hour too late. Holding you and Frankie in my thoughts and prayers. I really appreciate your sharing of all these mixed feelings you’re having. That, and the comments I’ve read help me to understand a little better my own confusion over my two pups. I thought I was saying ‘yes’ to my wife having dogs. Turns out I’m alpha, and she just had knee replacement surgery. And Just for the record, you don’t have to be Jewish to be good at guilt! Sometimes, I think I’m just crazy. I found out long ago, though, when I was a cat person, that there is a huge richness in loving the four-leggeds and that doesn’t end just because their physical lives do. I love to go back to pictures of them and remember the happy times. Ultimately, you’ll be there, too, as you already know. It’s so hard to even know what to say, these posts are so raw it’s like we’re all going through it with you. I really wish there was something that would make this easier for you. My thoughts continue to be with you and I’m happy to hear the Operation Spoil Frankie has been a big success. Hugs to you both – only don’t actually give Frankie his because he’d hate that. I wish there was something I could do, say, to make it all better, other than I’m with you and dear Frankie. But, you know that. I so appreciate your “writing down the bones” as Natalie Goldberg would say. Thank you for sharing your truth, your experience during these days of spoiling Frankie. What an amazing, generous gift. Some day I will likely face similar emotions and decisions with my beloved Sadie. Know it is your blog posts, including comments for your wonderful readers, I will seek out of for companionship and wisdom in the midst of the aching, uncertainty, dissociating, guilt, glimpses of hope — in the midst of the whole catastrophe. I appreciate you. That means a lot to me, Deborah, both your loving presence and knowing that opening up my veins will provide something of value for you and others through a most difficult experience. I don’t have much helpful to say, as I have a hard time finding words in these matters, but I did want to say that I believe if you are following your heart (which you so obviously are) than you will always know the right time to let a beloved pet go. And as much as others on the internet can give you advice, it really is between you and your vet to know when that right time is. I am glad that operation spoil Frankie is going so well – and that his stomach is handling all the goodies! Thanks, Donna. I can’t tell you how much the support I’ve been getting means to me. I’m sorry to report that Operation Spoil Frankie has to be pulled back a bit since Frankie’s blood sugar seems to be going a bit out of control. He will still get yummy food, just not so many snacks between meals. It’s too bad but least it makes me think all that watching of his diet wasn’t for nothing. That’s what I felt with Dannyboy. I knew he wasn’t feeling great anymore. I knew the tumors were growing. I felt guilt because of those last 12 hours before the vet’s office opened again. I felt awful for not giving in earlier. I DID feel that great relief after it was over, but I still felt guilt. I still get this “maybe if” thing going on in my head over not letting them perform surgery on him again, and I feel even more guilty again. Almost 2 years later, I still cry–over the guilt, over the missing him. I feel awful for you because I know how much you’re hurting. I can’t tell you it will get better, because I’m not sure it will any time soon. I know it hasn’t for me. Sometimes it just kills something inside of us doing what’s best for them. I just know Dr. V is right. You don’t want to feel the extra kind of guilt I feel because of waiting too long. It’s hard not to feel guilty no matter what course we choose sometimes, I think. However, I truly admire how strong you are being for Frankie – this is one of those times where you’re putting his need (quality of life) above your own (wanting to have him with you as long as possible). He’s a lucky dog to have you, and I think Dr. V hit the nail on the head with her comment.